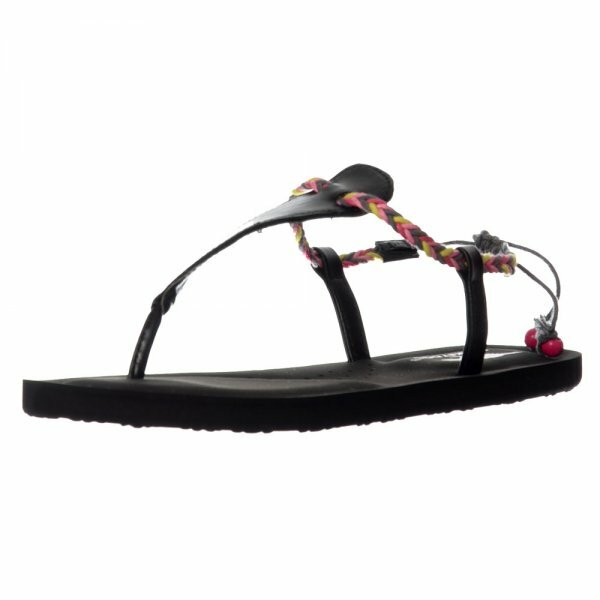 This Stunning Lightweight Flip Flop Summer Sandal is Perfect For Summer Sun! 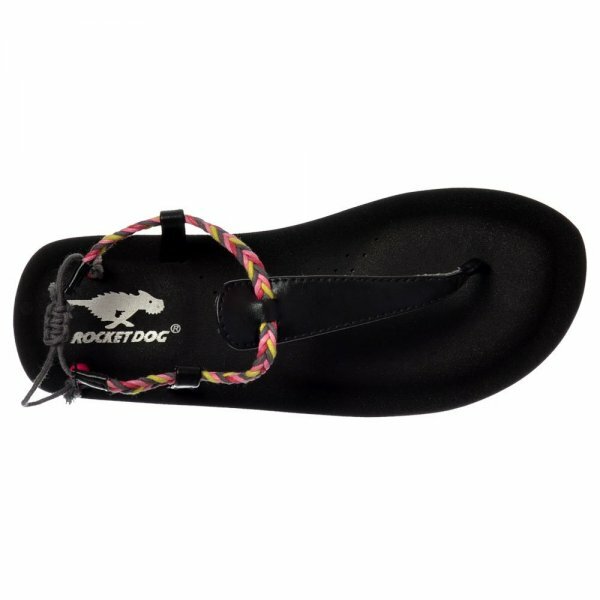 It Features Toe Post Thong and Braided Adjustable Ankle Strap - Choose From Brown With Orange and Yellow Braid and Orange Beads or Black With Pink and Yellow Braid And Pink Beads. 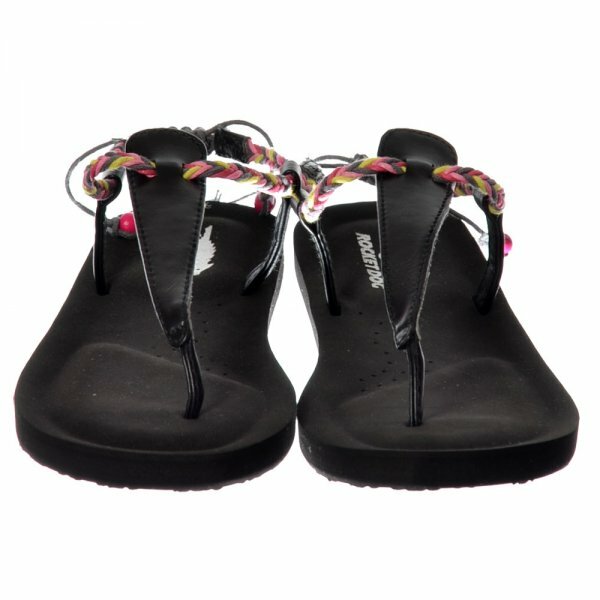 The interior Enjoys a Cushioned Comfortable Sole Complimented by a Matching Rocked Dog Feature Logo. 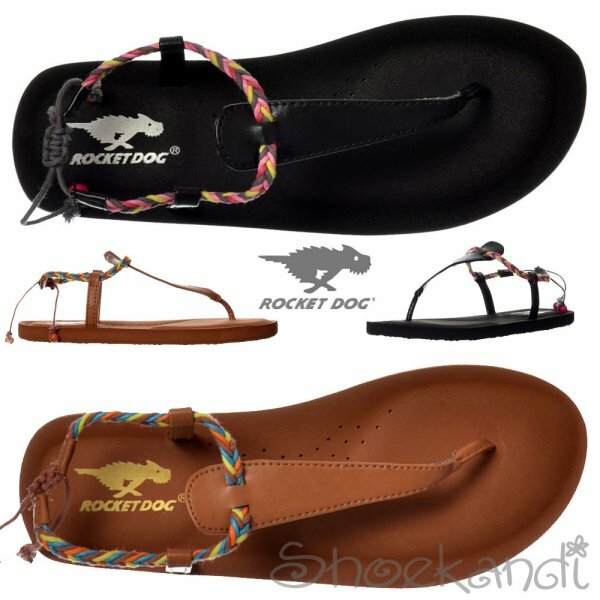 Another example of Truly Stunning Footwear by Rocket Dog.